Dr. Irina Kogan always appreciates feedback from her valued patients. To date, we’re thrilled to have collected 15 reviews with an average rating of 4.6 out of 5 stars. 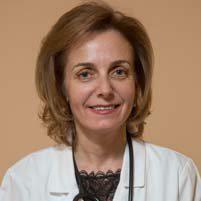 Please read what others are saying about Dr. Irina Kogan below, and as always, we would love to collect your feedback. I like making appoints online, very easy to book time with Dr. Kogan. I love her assistant that does vitals, he's very attenative. I have never had a bad experience while visiting. The whole staff is amazing!!! I saw the PA and not the doctor. He seemed to know what he was talking about and he gave me probably the same recommendations as the doctor would have. But you need to check if you have your heart set on seeing the doctor. I was not seen by Dr. Kogan, however, the PA who saw me was kind and show concern about my symptoms. I love how easy it is to get an appt too. I am referring my friends. She is excellent and very friendly. Very helpful and great staff all around!!! Long wait time, other than that ok. There was no wait, the doctor was nice, maybe a bit tired though. We accept most major insurance plans. If you have any questions, please contact our office.